A man who sold 16 stolen military memorial plaques to a scrap metal dealer for about $525 was sentenced on Tuesday to eight months in jail after pleading guilty in court. 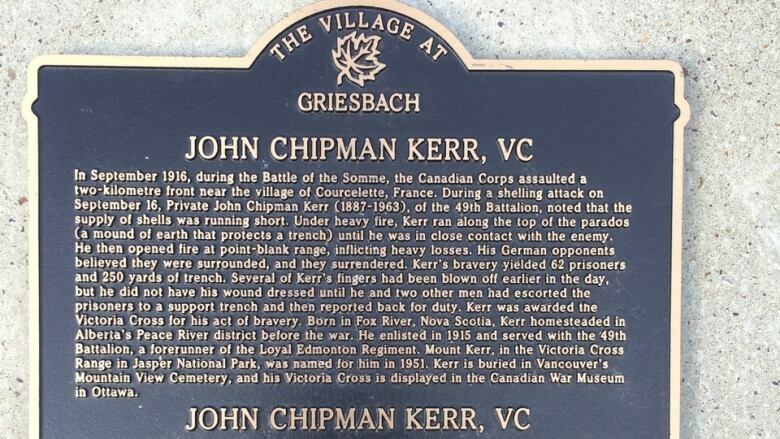 The plaques, which honoured some of Canada's most decorated soldiers and most famous battles, were stolen from the northeast Edmonton neighbourhood of Griesbach in July 2017. Griesbach is the site of a former Canadian Forces base, and the plaques were placed on cement-and-brick stands at the end of each street, telling the stories of the soldiers or battles for which the street was named. Romelo Woolf, 46, pleaded guilty to charges of possession of stolen property over $5,000 and fraud under $5,000. In an Edmonton courtroom on Tuesday, Crown prosecutor Stephanie Brown said an unknown tool was used to pry the plaques away from the display stands. Surveillance footage from residents showed two people in a pickup truck leaving the area early on July 24. The next day, Woolf and two other people went to General Scrap Iron and Metals Ltd with 16 plaques that had been cut or defaced. Woolf showed his identification to the store manager and was paid around $525 for the metal. The business soon heard about the missing plaques in the media and realized they had them. 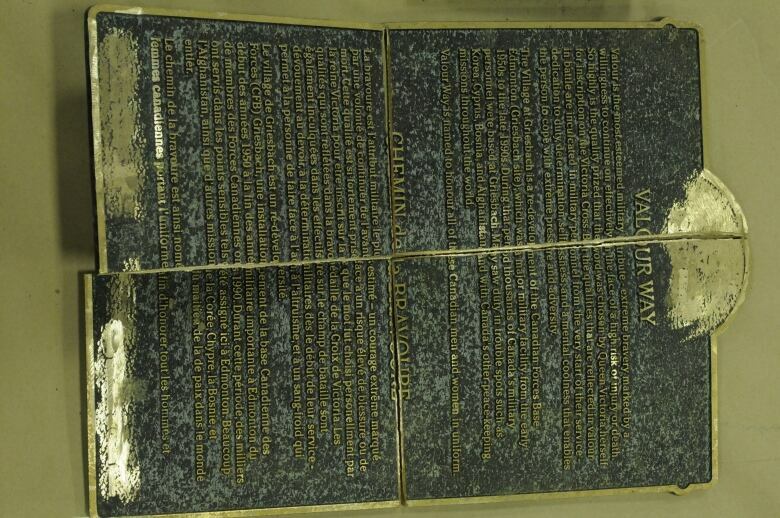 Three other missing plaques were found in an alley in Griesbach, Brown said. Woolf was arrested in August 2017. The city eventually replaced 14 of the plaques and two others were privately refurbished. In total, it cost almost $27,000, Brown said. Woolf has a criminal record including 14 property offences, six of which are for possession of stolen property. The Crown suggested a sentence of 12 to 18 months in jail for the crime. Defence lawyer Sonia Haer said Woolf did not know where the plaques came from and didn't know they were stolen. The father of three was homeless at the time and needed money for food, she said, suggesting a sentence of six months in jail. Judge Joyce Lester said it was "very aggravating" that the crime involved the theft of military tributes, and that it greatly impacted the community. Lester sentenced Woolf to eight months in jail for the crime, plus another 30 days for a separate bike theft. There will be 83 days deducted for time already served. He was also ordered to pay a restitution of $22,000.